Grilled potatoes are classic for a summer barbecue. Cooking them in a smoker grill adds an intense layer of smoky flavor. In a smoker, the potatoes cook low and slow, allowing time to infuse the potatoes with your favorite wood flavor. 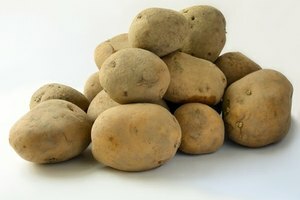 You can use any type of potatoes you prefer, but a firm baking potato like a russet works best. 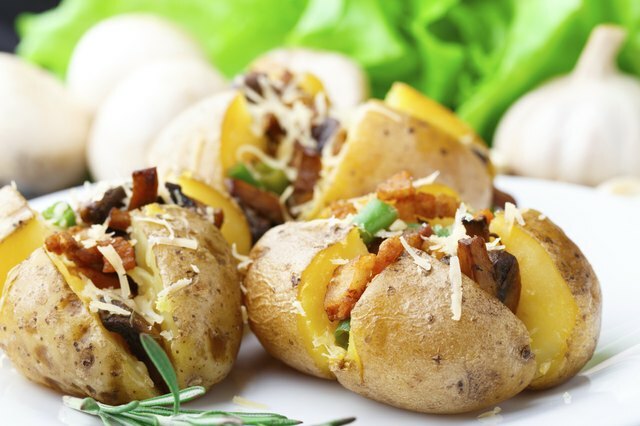 Serve these potatoes with your favorite baked potato toppings or mash for smoky mashed potatoes. Rinse and scrub the potatoes under cool running water, using a vegetable brush. Pierce each potato all over with a fork. Rub olive oil over generously over each potato and season with salt and pepper. Add charcoal to the smoker's charcoal compartment and light. Close the smoker and adjust the vents to bring the temperature to about 250 degrees Fahrenheit. Add soaked wood chips to the smoker on top of the coals or in the designated smoker box, depending on your specific smoker. Fill the water pan of the smoker with water about 3/4 of the way up. Place the potatoes on the grill grate and close the lid. 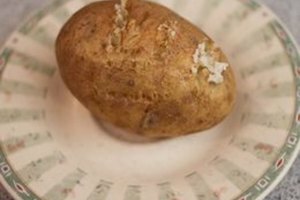 Allow the potatoes to cook for about an hour, or until they are easy to pierce with a fork. 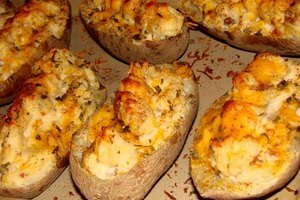 Remove the potatoes from the smoker and serve hot, however you prefer -- whole, sliced or mashed. 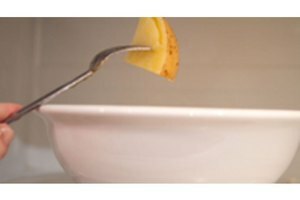 Fill the water pan with flavoring liquids such as barbecue sauce, marinade or fruit juice or add fresh herbs to the water to add another dimension of flavor to the potatoes. 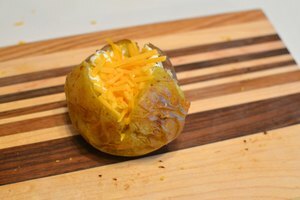 Smoke potatoes on a regular grill by setting it up for indirect heat, adding smoked wood on top of the hot coals and placing the potatoes over a drip pan, away from the direct heat. Common wood chip flavors available for smoking include hickory, oak, mesquite, applewood and pecan.